"Grass is near the palace." This is an awkward sounding sentence, perhaps "there is grass near the palace" would be a better way to phrase this. Why wouldn't "около" work here? What is the difference between возле and около? I don't feel much difference between these words. Why isn't Возле трава дворца accepted? Во́зле is a preposition and, together with a noun it modifies (дворца́), it constitutes an indivisible phrase. You could insert other words modifying the noun (e.g. возле краси́вого дворца́ 'near the beautiful palace'), but not completely unrelated words. So, based on what you've said, "Возле трава дворца" would actually mean "The palace is near the grass"? Or is it just completely awkward/nonsensical? «Возле трава дворца» would mean nothing, since во́зле requires genitive, and трава́ is nominative. It could work if there was a masculine noun тра́в (near the palace's трав), but we don't have such a noun. And, ugh, of course Возле/genitive. This is my most frustrating thing about Russian right now. I'm getting more comfortable with the case system (which is progress, I suppose) - I just don't always remember to think about it. That makes sense! So возле трава дворца would mean something similar (the palace is near the grass), but not literally what they're looking for? "Трава около дворца." must be accepted. Reported it. If Дворца is the prepositional form,what would be the nominative form? Дворец is nominitive. Sometimes the penultimate vowel of a noun with a suffix will be dropped. Simply has to be memorized. I think this would mean «The grass is near the palace», but I’m not sure. I could be wrong in my attempt to apply this elsewhere, but I found your word order explanation of something similar on another thread to be extremely helpful. It's still awkward for me but having that framework in which to think of it has been very useful. Or, it doesn't apply here at all and I don't understand it as well as I think I do. That's entirely possible, likely even! Feel free to correct me if I'm mistaken. Thanks! This is applicable here. Since the time I wrote that post I've found a description of word order in Rosenthal. Basically, it confirms my intuition about the old/new information (topic-comment relation), but there's another dimension to it: sometimes the word order is fixed. An example of the fixed word order is the position of adjectives, I've decribed it here yesterday: https://www.duolingo.com/comment/11877095 — it has nothing to do with what's new information. Why not "Возле дворца есть трава"? Is "Трава находится близко дворца" wrong? In case, why? I always thought близко and возле were synonyms. "близко к дворцу", "близко ко мне"
Why not дворце if it comes after a preposition? 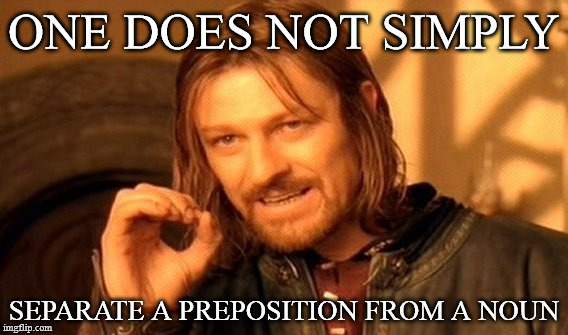 Not all prepositions take prepositional case. Возле and около take the genitive. Why is "недалеко дворца трава" wrong? Thanks in advance. In this case the adverb 'недалеко' needs preposition 'от'. "недалеко от дворца" is like "not far from the palace"
У for near and С for from? "There is grass on the ground." "There is a dog on the grass." "Anna is near this taxi."